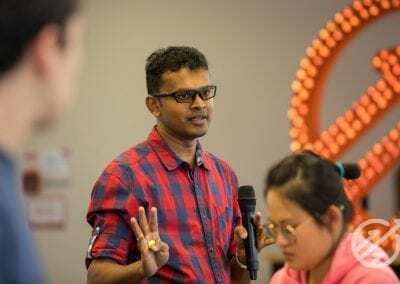 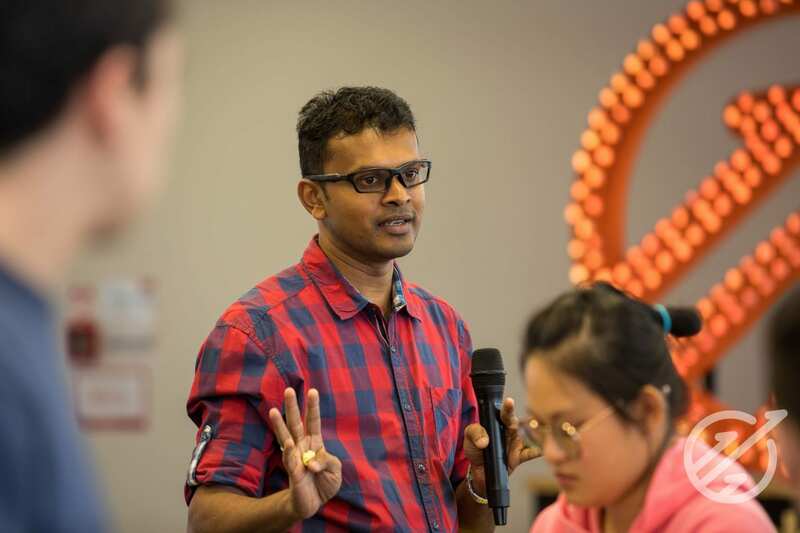 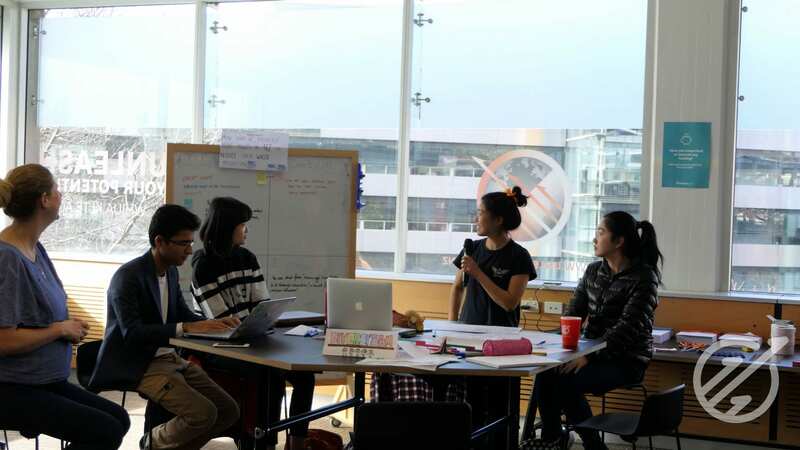 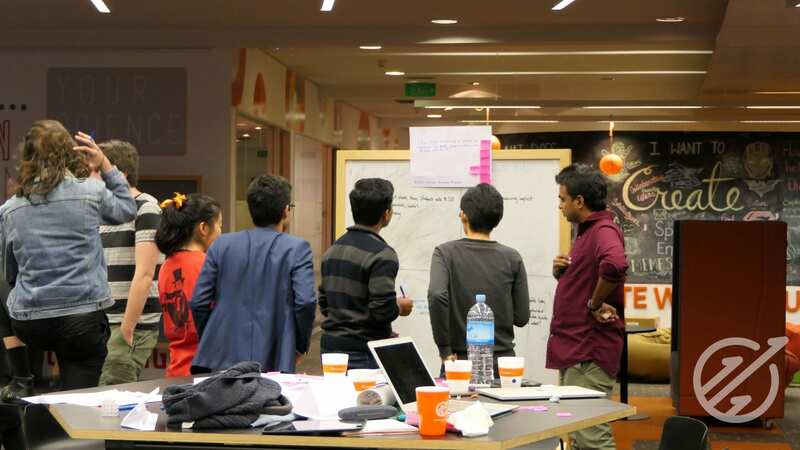 In the days before semester two kicked off, Unleash Space was buzzing with creativity and excitement as a three day Innovation, Creativity and Entrepreneurship Bootcamp was held, run by Associate Professor Suranga Nanayakkara and his team from the Augmented Human Lab. 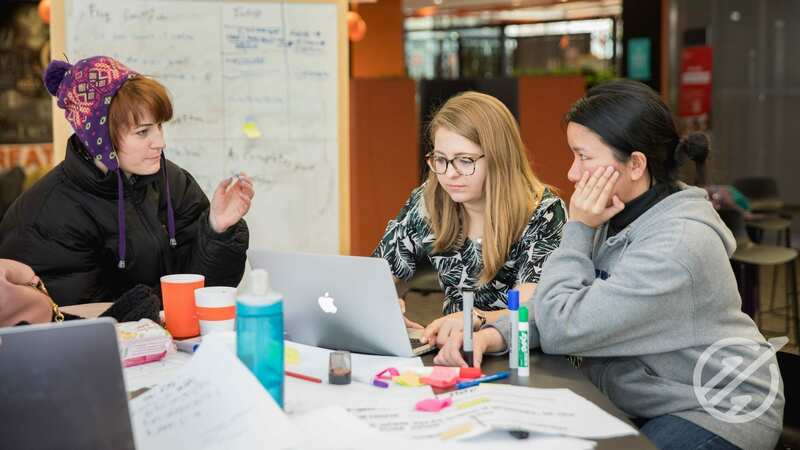 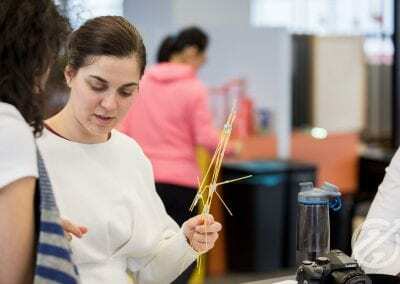 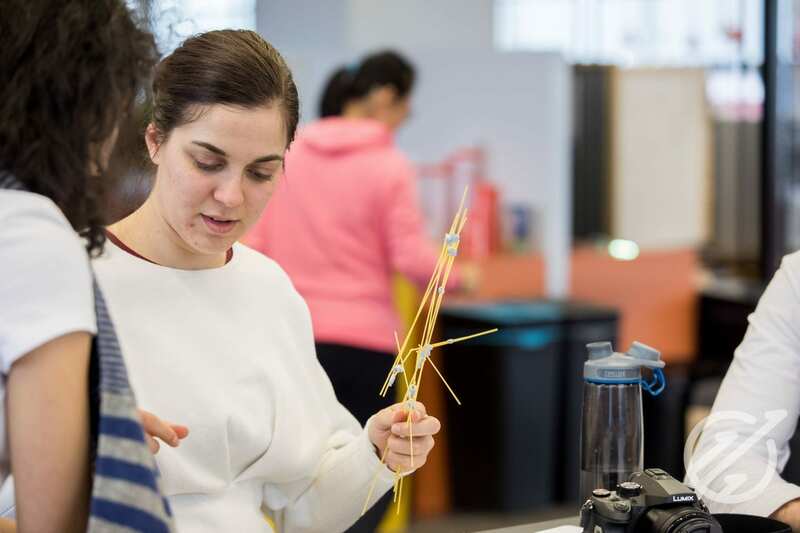 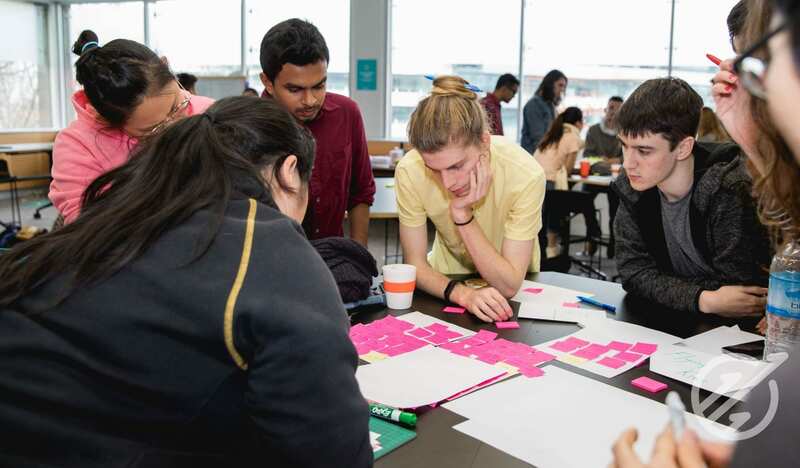 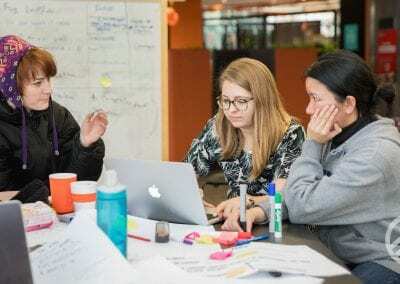 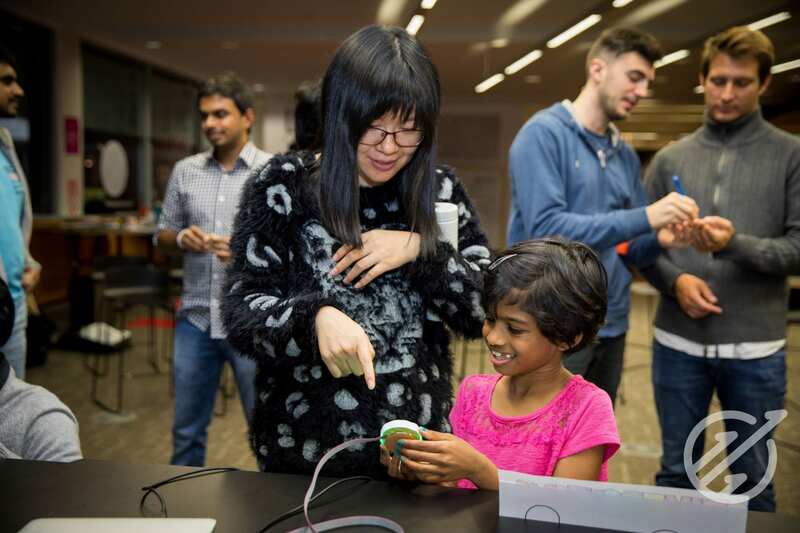 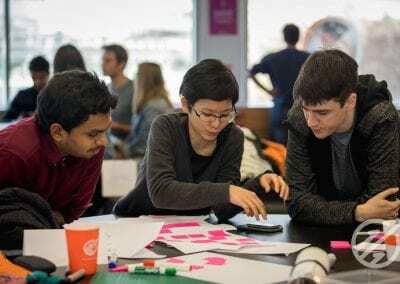 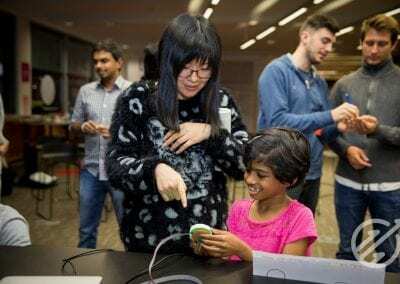 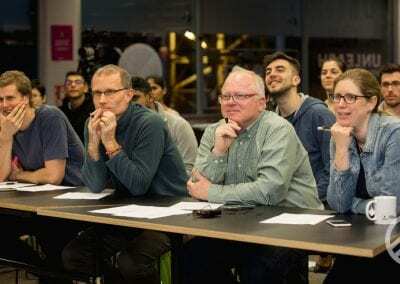 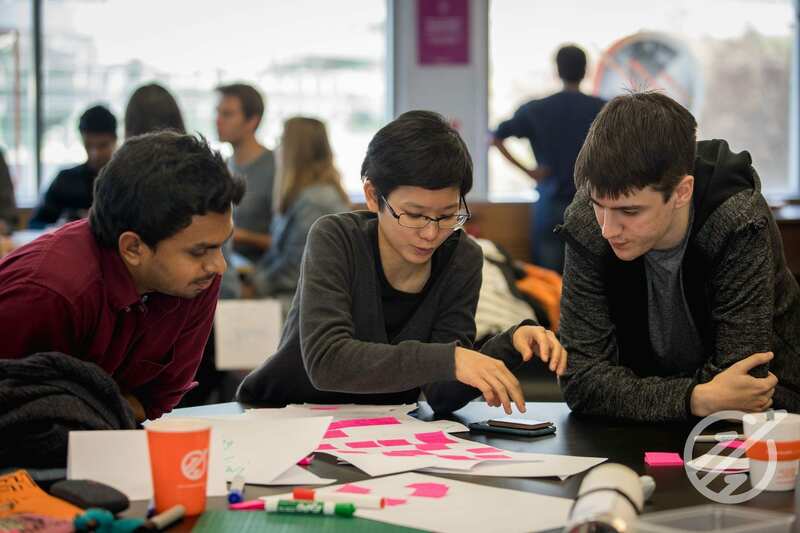 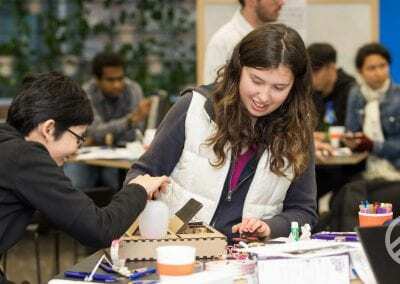 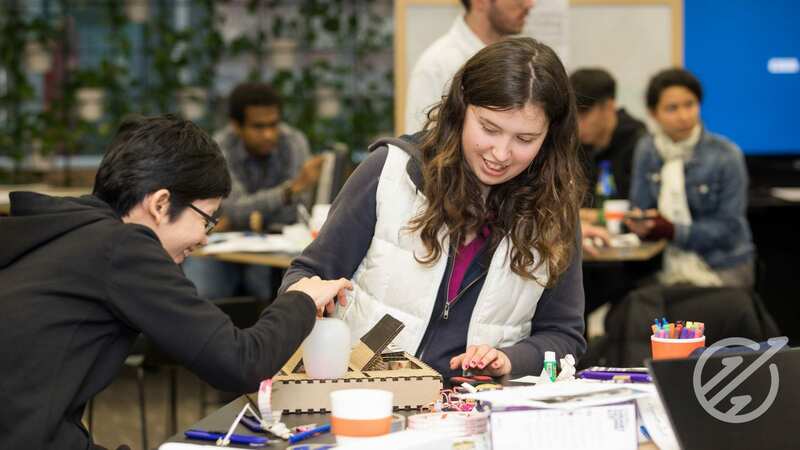 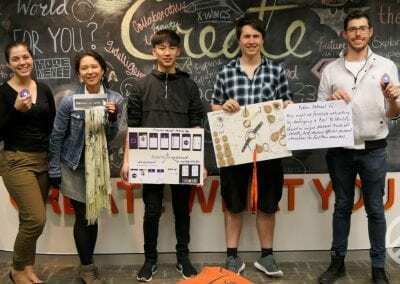 With the theme of “assistive augmentations”, four teams spent three days ideating, designing and prototyping to solve a problem, as well as learning valuable skills and strategies for all stages of the design process. 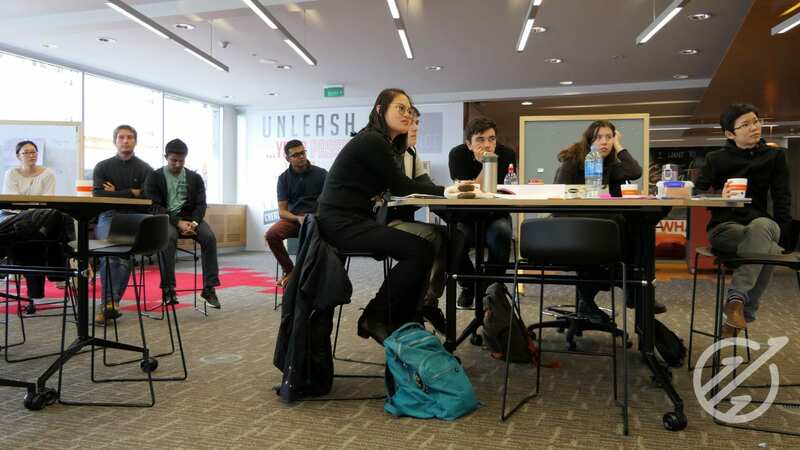 Speakers from various entrepreneurial exploits also came and provided inspiration with their own experiences. 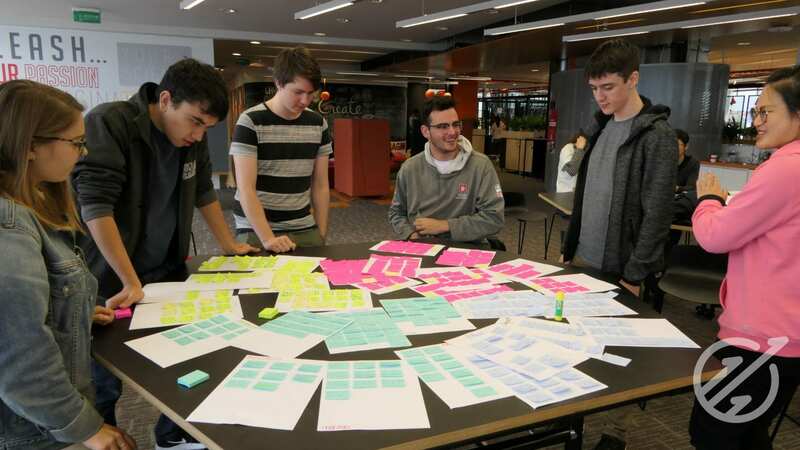 SCAMPER, a follow up to C-Sketch that further develops the ideas generated into the best solution to prototype. 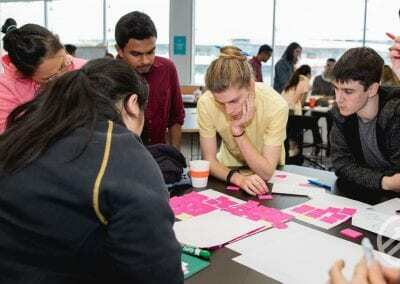 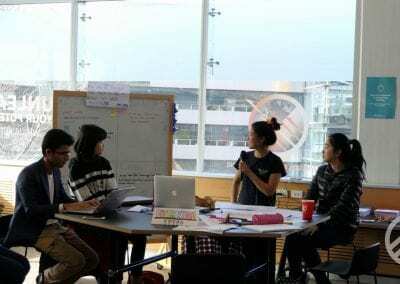 With the guidance of mentors and through their own experiences and challenges at the Bootcamp, the teams learnt the importance of scoping the problem, why market validation is used and how helpful prototyping (making and testing out various aspects of the physical product) is to the design process. 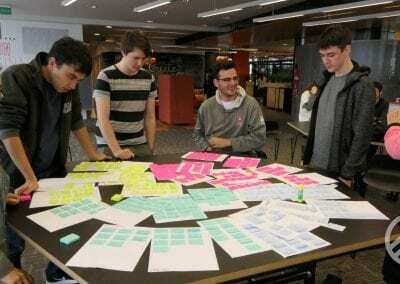 Over the course of these few days, many problem statements were changed, some flipping to an entirely different problem; while getting feedback from others and prototyping their ideas helped teams really get a grasp of their solution, rather than go in circles wondering whether it will work or not. 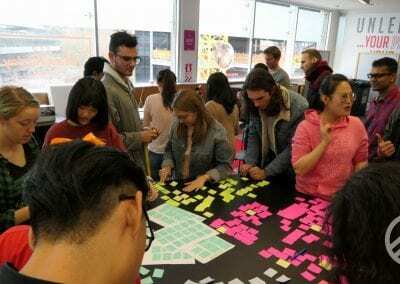 These experiences demonstrated how much defining the problem and prototyping can influence the design process, by changing the way a problem is approached and improving clarity of the solution among the team. 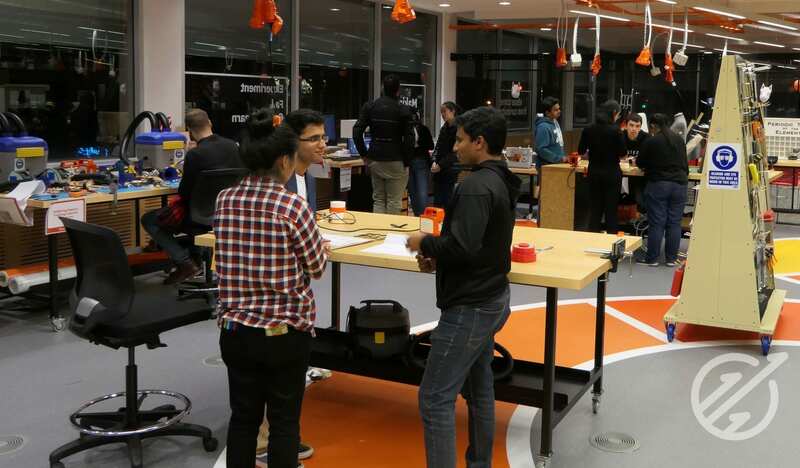 It was amazing to see what could be accomplished in just a short few days. 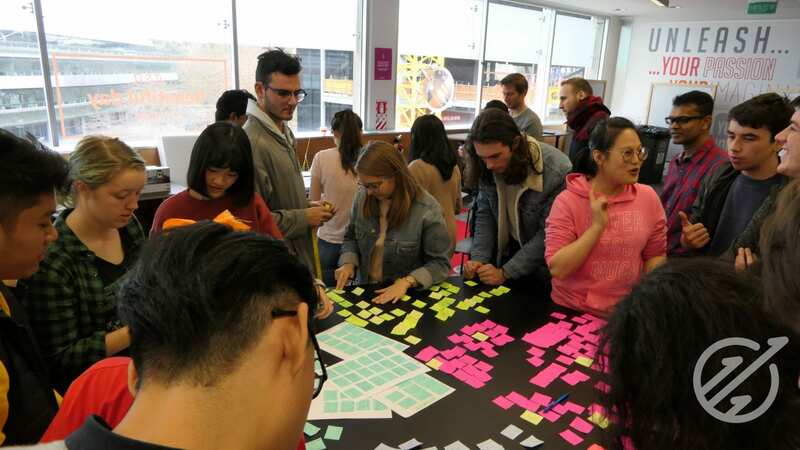 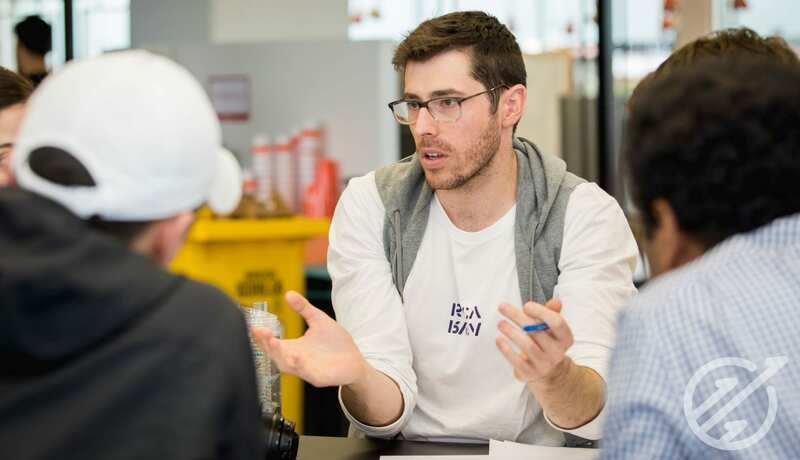 What started out as a group of fresh individuals on day one, developed into highly effective, problem-solving minded teams by day three, with four well-developed and confidently pitched solutions to clear, specific problems. 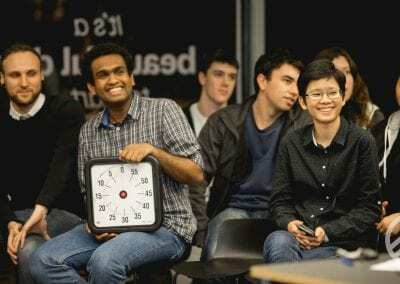 The team Social Q-ists developed an attachable device named Ember that helps people network at events based on shared interests. 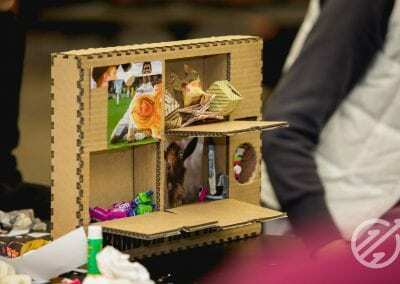 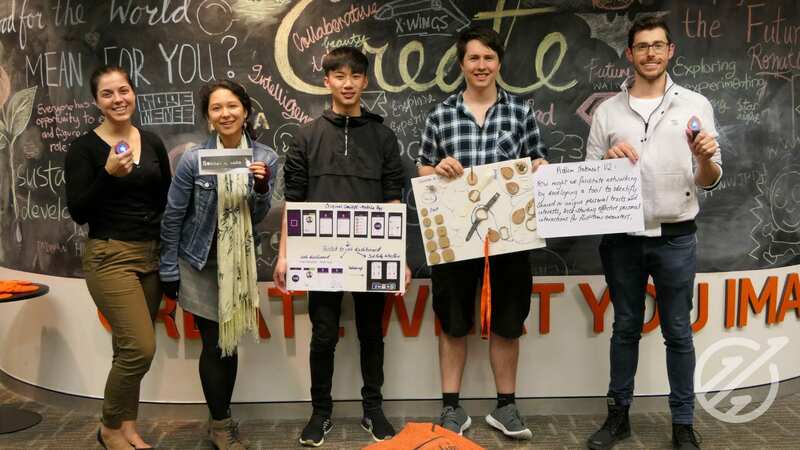 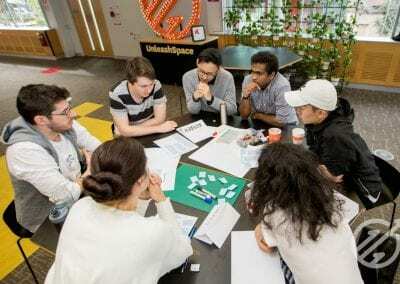 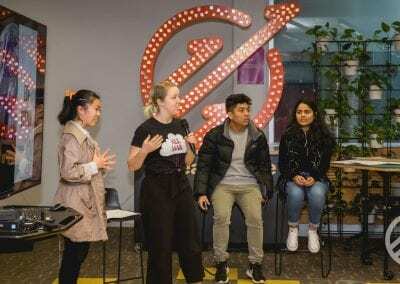 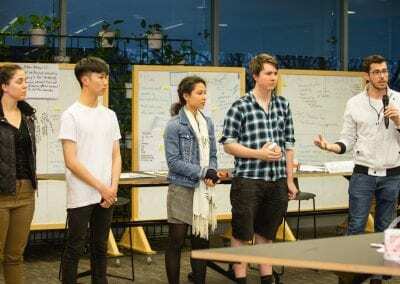 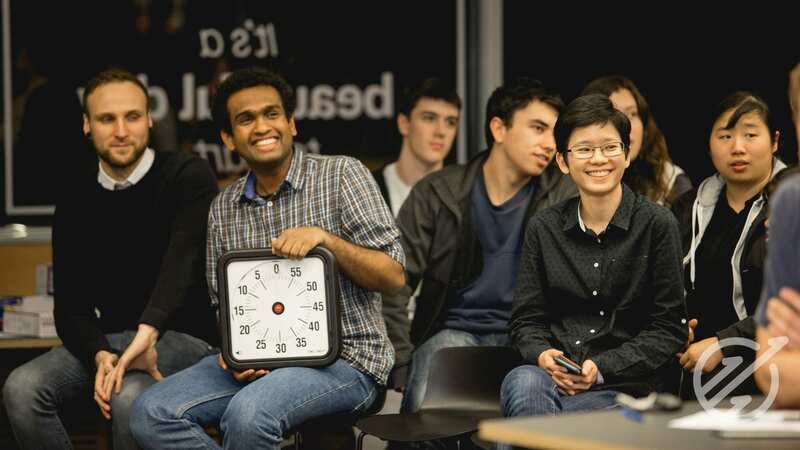 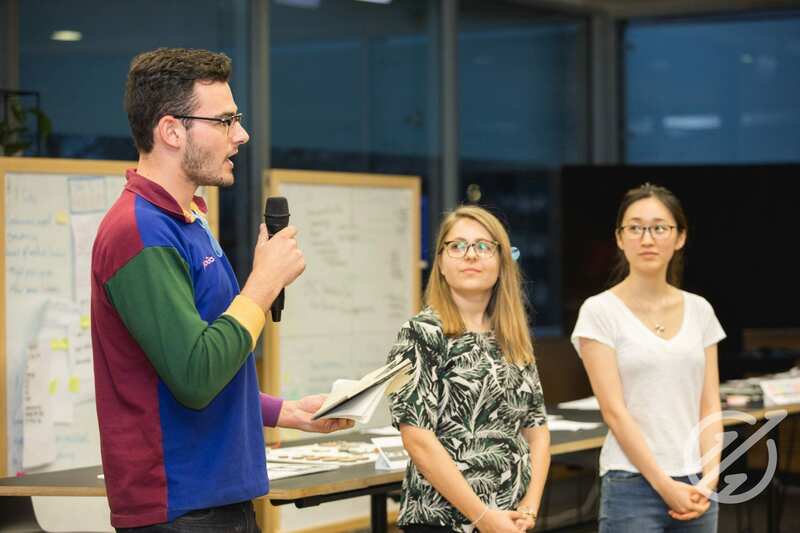 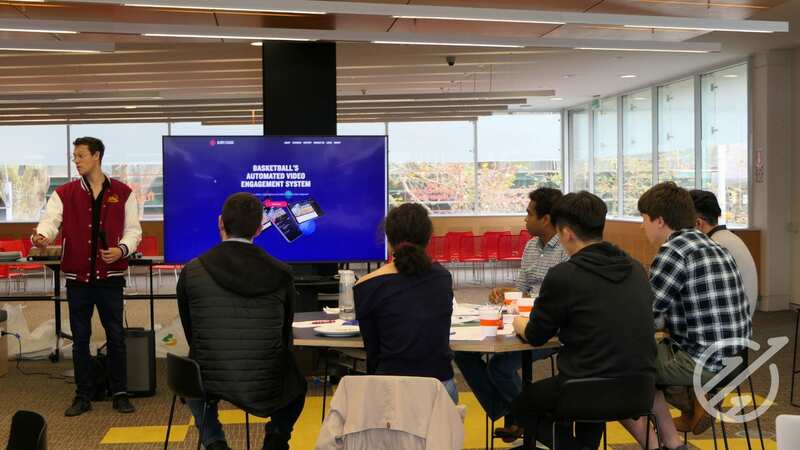 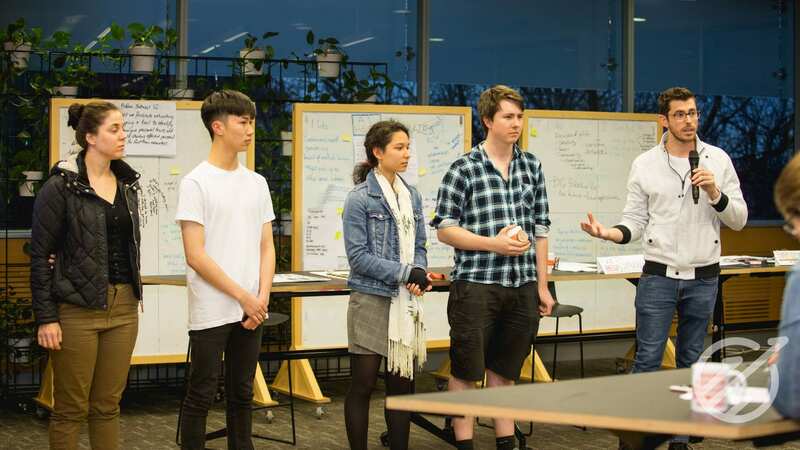 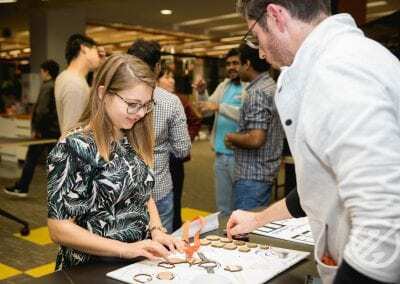 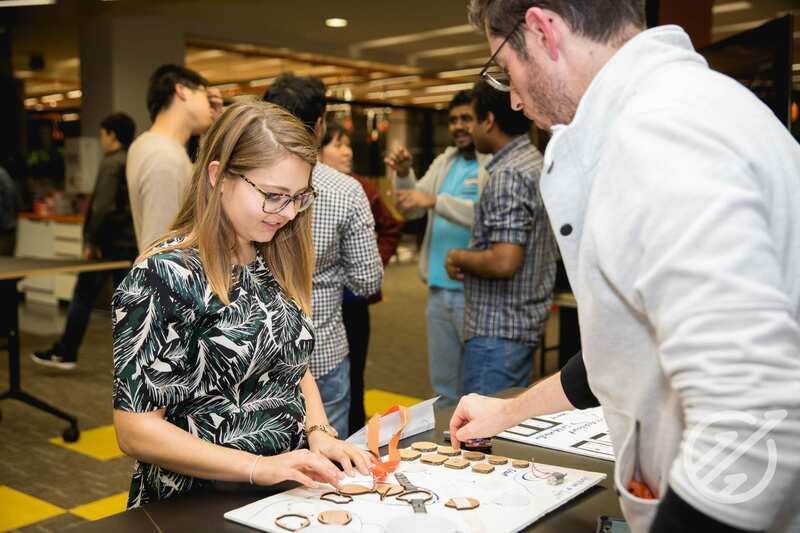 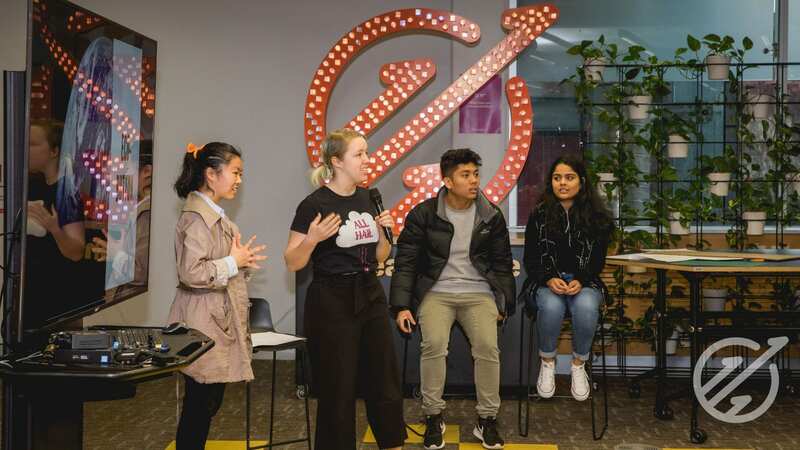 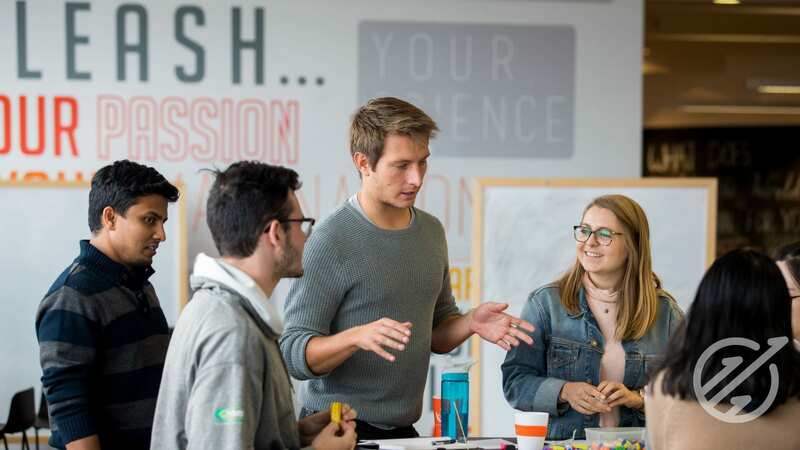 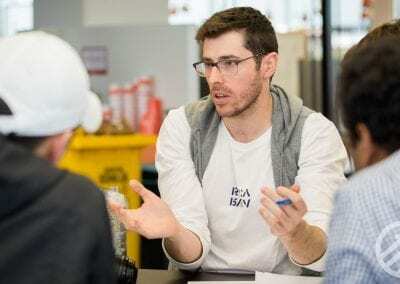 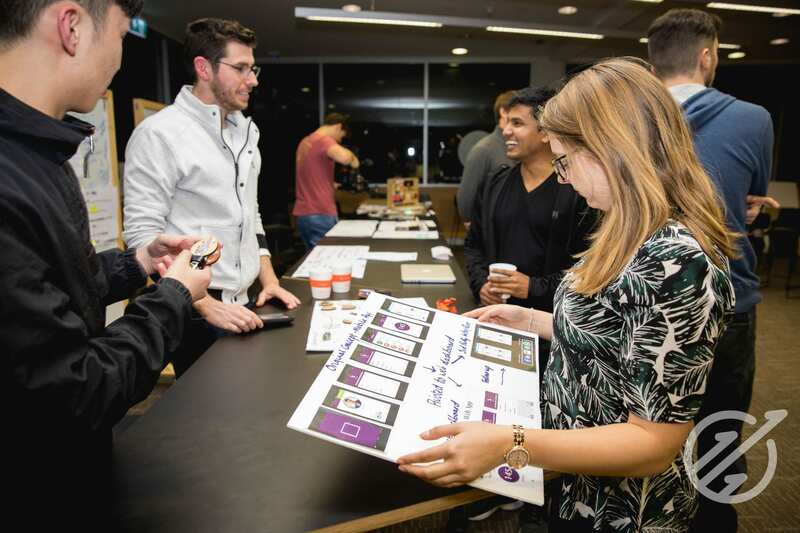 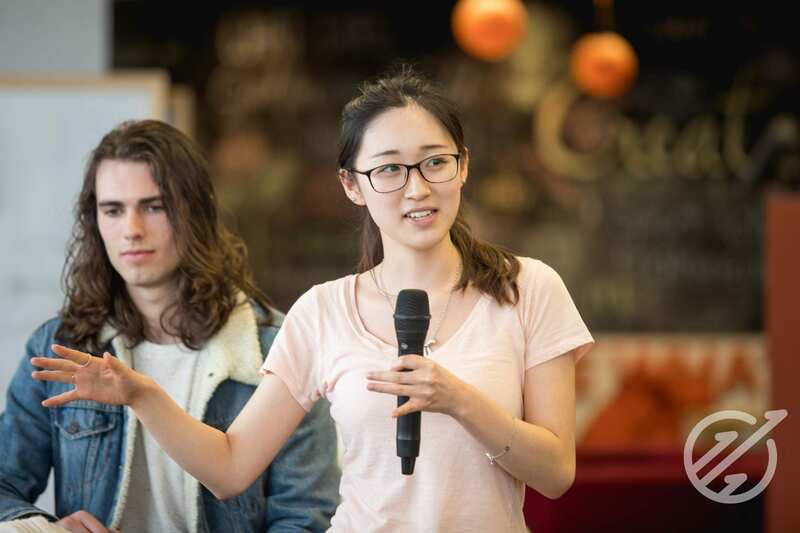 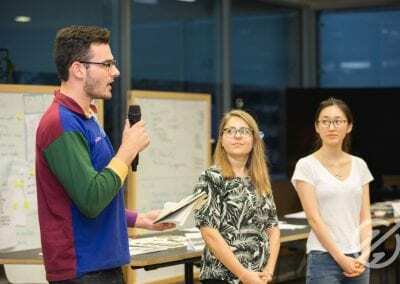 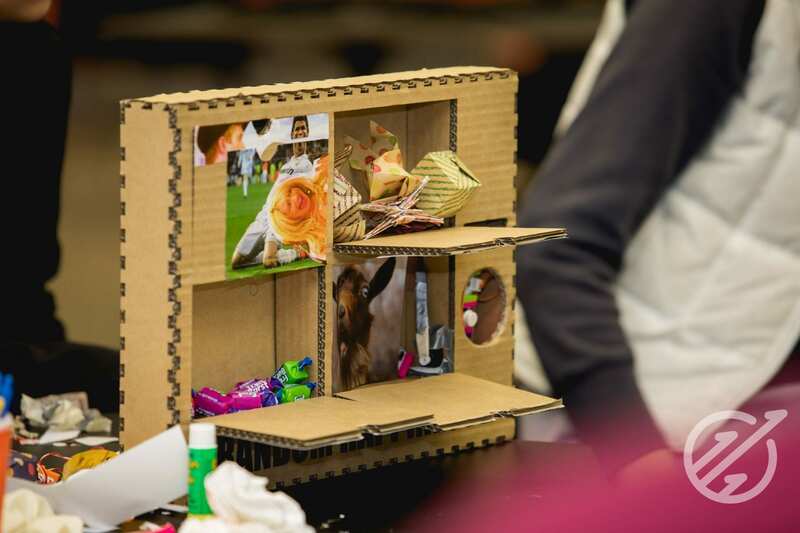 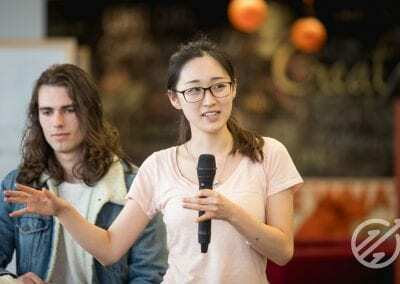 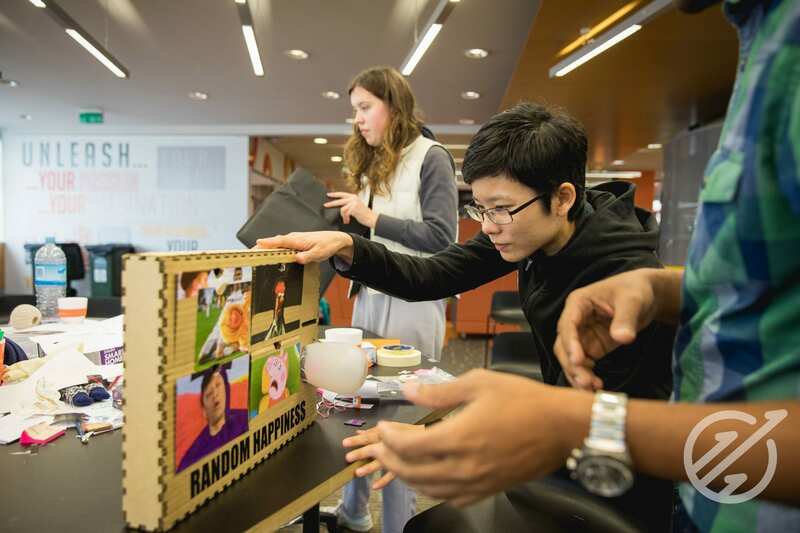 Flying Kiwis developed a device that can be placed around university campus, with fun items and messages in its compartments to improve the wellbeing of tertiary students through humour and community. 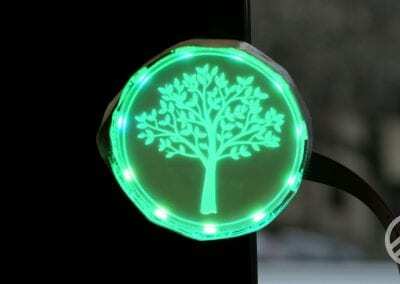 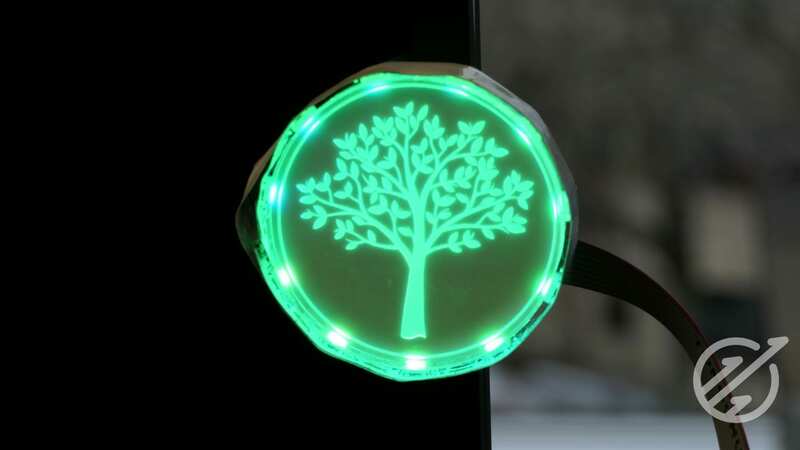 Diversiteam developed a button (named the Eco-Button) that would visualise how much energy was wasted by devices to facilitate sustainable practices; while Sparkies developed an online self-help platform with personalised solutions and expert advice for mental wellbeing, which is checked for scientific accuracy and presented in a user-friendly manner. 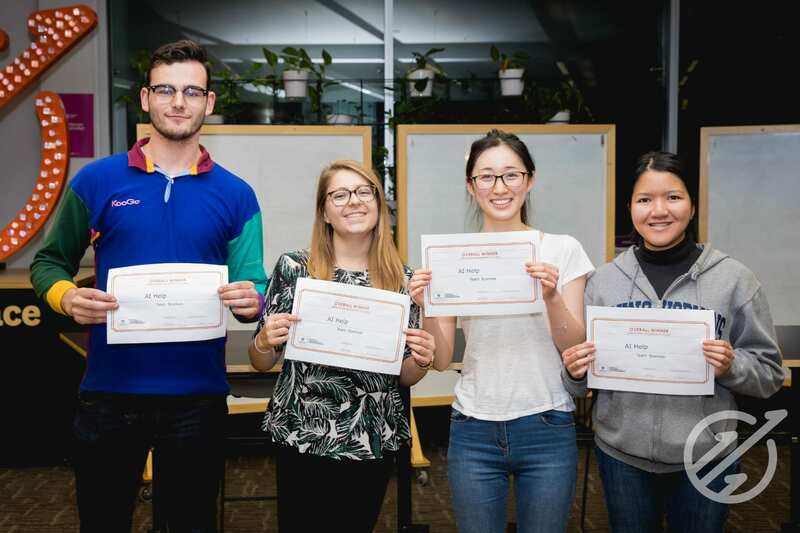 After some difficult deliberation by the judges, a winner was announced, awarded to Sparkies and their AIHelp program. As the three day hackathon wrapped up with dinner and conversation, the mood was cheerful and inspired with a sense of community among all the teams. 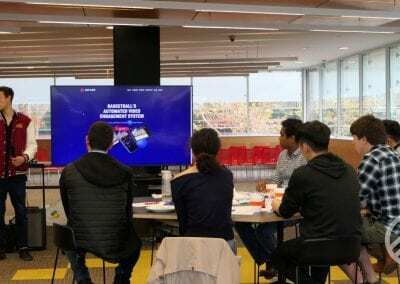 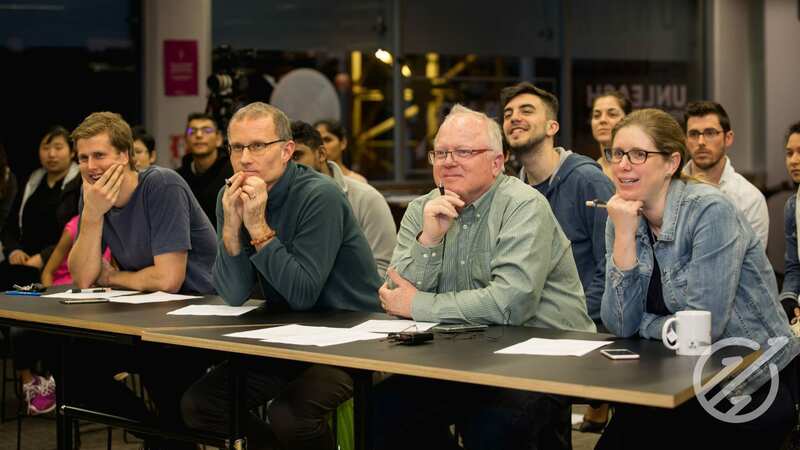 No matter the result, everyone felt a great sense of accomplishment, having learnt many valuable problem-solving skills and strategies from the both the hackathon and each other, as well as walk out with a well-developed idea that could eventually turn into a business with real impact! 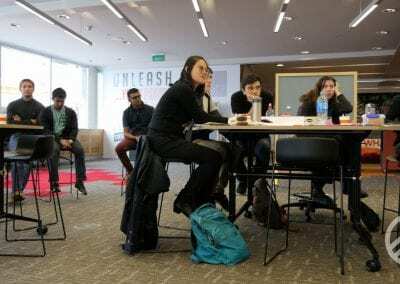 Unleash Space team’s Innovation, Creativity and Entrepreneurship Bootcamp!